The Dover Gooners have been in existence since May 1994, when 4 members of the Padfield family travelled to Copenhagen to watch the cup winners cup final, with a banner carrying our name into Europe for the first time. Over the next 6 years this unofficial supporters club expanded to 9 members. 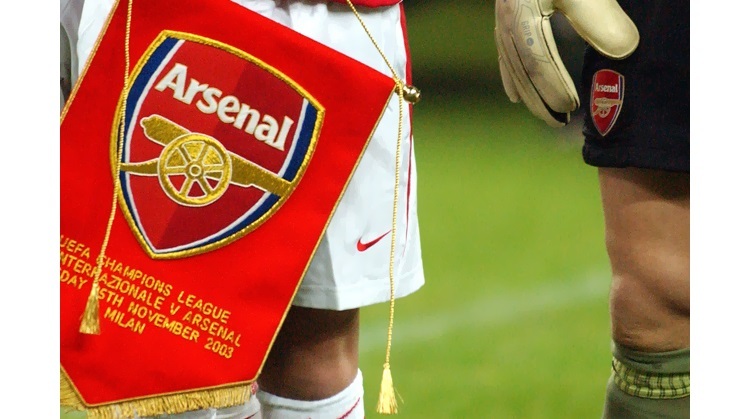 In the summer of 2004 we became officially affiliated to Arsenal FC and our membership has grown rapidly to over 80. The main aim of the club is to draw together like minded supporters of Arsenal FC in the Dover Area. The committee meets regularly at the Boars Head, visit our websites for dates when these meetings take place. Web site: www.esasc.co.uk (entry by password). As an official Arsenal supporters club we are seeking Arsenal Fans from all over Hampshire of all ages. We are looking for volunteers to become representatives for different areas of Hampshire and to assist in running the club. The newly formed South East Essex gunners are now recognised as an official supporters club. They held a launch date on Sunday 3rd October at the Raleigh Town Sports and social club and it was a great occasion attended by over 130 people including 60 children. The club is hoping to organise a number of events over the coming season mainly concentrating on family activities. The Yorkshire Arsenal Supporters Club (YASC) was formed in 1990 and has steadily increased its numbers to its current level of over 200 members. We run coach trips to nearly all Arsenals weekend home matches picking up in Leeds, Darrington (near Pontefract) and Doncaster. In 2004 a group of fervent Arsenal supporters, 'mainly Scotsmen' got together and decided that Scotland needed an official Arsenal supporters club (The Jock Gooners). This season is a learning process for the club but we have already attended matches wearing our kilts & Arsenal tops. We already have 50 plus members and are growing daily. We are mainly based in Edinburgh, but we also have a large contingent in Aberdeen and the North East and we hope to reach over to Glasgow and the West Coast. Due to our ever growing membership the clubs meetings have now been relocated to the Mercat Bar, West Maitland Street, Edinburgh. We also meet there to watch Arsenal games on one of the bars forty two screens. Children are welcome until 8pm. If you would like info. on ASSC please contact Fraser Mackenzie 07834 957 392. The supporters club is going into its third year; we hold a meeting at the Ashburn Hotel in Lurgan Co. Armagh on the first Wednesday of every month at 8 pm sharp, everyone is welcome. Ballymena Seven Towers Arsenal Supporters Club was established in 2003, with a membership of 45 people. The club serves the Ballymena and Mid-Antrim area and meets every two weeks at 7pm in the Michelin Athletic Club. The aims of the club is to allow Arsenal Supporters in the area, to participate within the club and allow regular attendances at matches, to advise members on all matters relating to the support of Arsenal F.C and to promote support for Arsenal in our Area. Our club was founded in early 2004 for the Arsenal fans in the Cork City area to promote and enhance the great names of both Arsenal FC and our City. We have grown in strength and currently have 50 members who get together on a regular basis to support our team as it strives to bring future glory to the club. The Drogheda Arsenal Supporters Club was formed at the start of the 1996/97 season and the number of members has steadily increased over this 9 year period to a current membership of over 50 fans. The Club is located in the town of Drogheda, Co. Louth which is the largest town in Ireland and also covers the region of south Co. Louth, Co. Meath and north Co. Dublin. For official meetings or anytime Arsenal are live on TV, members can meet upstairs in Mother Hughes Pub, North Road, Drogheda, non members are also welcome. Tralee Arsenal supporters club was set up in August 2004 to cater for the needs of the growing number of Gunners fans in the area. The main objectives of the supporters club is to give people in the area an opportunity to view the many televised games as a group, to organise social events and of course to travel to Highbury at least once during the season. Tralee Arsenal supporters club hopes to bring like-minded fans together and anyone interested in availing of further information can contact club secretary James Breen at 087 1381017.